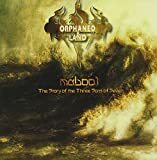 ORPHANED LAND NORA EL NORA (ENTERING THE ARK) LYRICS"
my soul is yearning, and in valor we wait. All Orphaned Land - Nora El Nora (Entering The Ark) lyrics are property and © copyright of their respective owners. All Nora El Nora (Entering The Ark) lyrics provided for educational purposes only.